Click here to view the frameless video.. The one thing that highlights Manitoba is its sense of community in showcasing its achievements. From local small businesses to the people that build work their hardest to continually grow them. Lauren McNabb of Global News Winnipeg stopped by the shop on a couple of occasions to capture our craft and discuss the processes we go through when building wood furniture from reclaimed wood. Sit back and get to know us in through Global News Focus Manitoba segment. 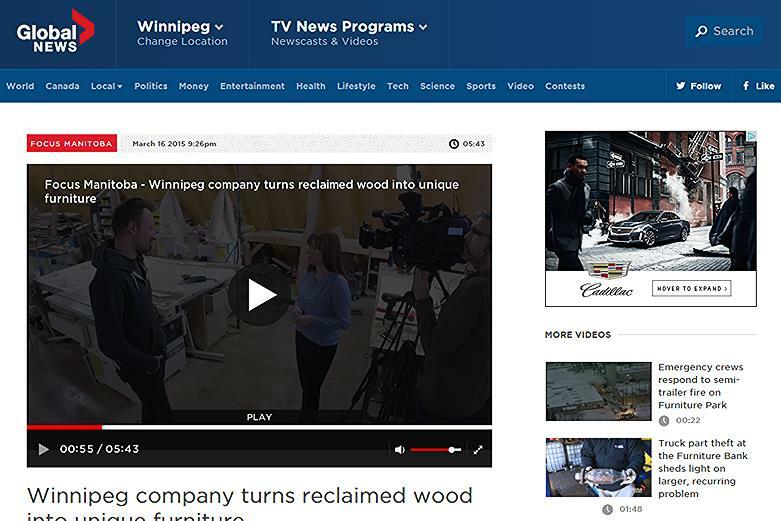 Tags: focus manitoba, global news, lauren mcnabb, unique contemporary furniture.